Russian Blues are known for being both intelligent and independent. They are moderately active, and like to play. 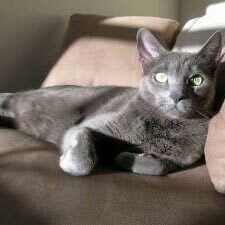 They are also very affectionate, and get along well with kids and other pets.